As many of you may be aware, there is just under one week to go before nominations close for the Civil Service Awards 2014. I would like to take this final opportunity to encourage all civil servants to make their nominations - you can nominate yourself, your team, or your colleagues. It would be great to see nominations coming in from a range of departments throughout the country, reflecting the enormous diversity of the work that the Civil Service does. These awards are a real opportunity to take stock and celebrate the achievements of your hard work over the past year. This year we have introduced several new categories, including the Commercial Award, the Digital Award, and the Volunteering Award, to help provide an even wider range of choice for you to select from; there should be at least one award that aligns with the work of each team and individual. 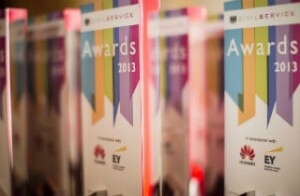 The awards are in their ninth year this year, and each year we’ve seen inspiring winners: teams of civil servants who have delivered real world improvements in customer service; others who’ve helped solve an international problem, as well as individual leaders who’ve demonstrated civil service values at their best. There have been winners in nearly all departments and across all areas of the country, so this really is an inclusive competition. In submitting your nominations you just need to think about what you are most proud of in your work, as well as what makes a good civil servant and how you feel that has been reflected in your work or the work of the team or colleagues that you are nominating. Further guidance on how to write the perfect nomination is available here. The short list of candidates will be announced in October on the Civil Service Awards website and in Civil Service World. The winners will be announced at a prestigious awards ceremony at Lancaster House in November 2014. We are looking forward to seeing some of you there, at what I am certain will be a fantastic event. Finally, I would like to say a big thank you to all those who have nominated and put themselves or others forward for consideration in this year’s awards. Good luck!